This post is kind of self-explanatory. 3 screenshots that explain what makes Google what it is, and adds shame to our lives for never trying to do this in our products. Take a close look at all 3. Is there a better way to get more accurate feedback? It feels good to see an active product management community on LinkedIn. I was going through this post by fellow product manager Mohamed Anees Jamaludeen about key attributes of a product manager. He mentioned market knowledge, communication & product knowledge. I felt that I could add a few more traits that would be appreciated of a product manager. This is not the same as getting poached by a customer. A step beyond market knowledge, customer empathy is the attribute that helps a product manager sense the pain of the customer (end-user or business). Without this, he/she will never be able to come up with a solution that matches market expectations. It also lets you co-create with customers and effectively latches them to your product. After all retention is key in this world of infinite attrition, isn’t it? And empathy leads us to a focus on customer satisfaction, and a passion to deliver great user experience. A product manager should take great interest in delivering a usable product – the one that users love to use and helps retain them! My previous article The Need to Log & Retain Activity Data argued the very need of logging & retaining data. In this post, I am listing out various logging strategies along with some brief explanation, utility, associated constraints and effectiveness of each method. As highlighted before, most people fail to understand the difference between logs/traces, audit trails and database time-stamps. Each of Log/Trace, Audit Trail & Timestamping has its purpose, pros and cons. When I think of a log, the first thing that comes to my mind is a trace consisting of developer injected SOPs (SysOuts), messages/exceptions generated by the server or any third-party component used. This trace could be written to a flat file or a database table. Last week I stumbled upon this amazing service called Google Transliteration that can be accessed through a bookmarklet (jargon explained at the bottom). 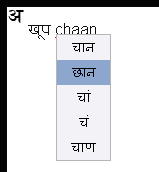 You can use this to type in one of the Indic languages in any text input box on the internet! (whether it really gets saved depends on the website 🙂 ) Language currently supported: Arabic, Bengali, Gujarati, Hindi, Kannada, Malayalam, Marathi, Nepali, Persian, Punjabi, Tamil, Telugu & Urdu. Few years back acquiring Indic fonts, and learning to use Indic keyboard layout was a challenge. Google eased that with a web service which takes away reluctance to reply in local languages. With such a service, an application developer need not provide for transliteration as a feature (its a feature in Gmail). Creating a database with double-byte storage is enough to record input in any language. With CJV languages, transliteration will often yield only an approximate result. 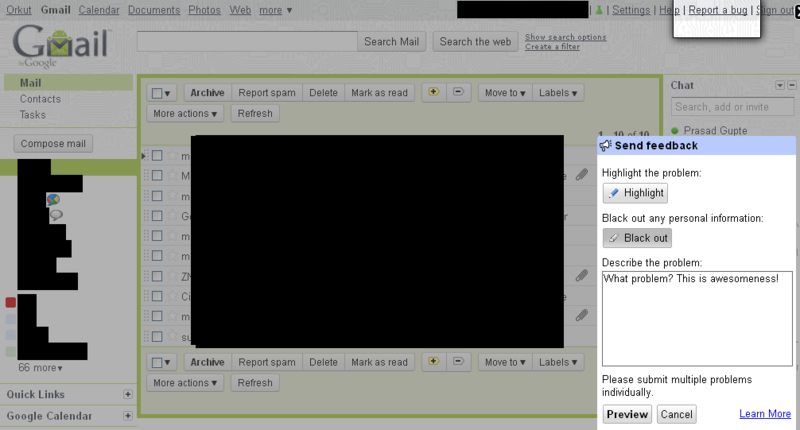 After uploading a few pictures last week, I spotted the ‘Add Name Tags’ link on my Picasa page. I knew this had to do with mapping faces to people, but what I had wrongly assumed was the simplicity. It took me less than a couple of hours to map about 2500 faces. I thought of sharing the accuracy of the tool & conditions that baffled it. 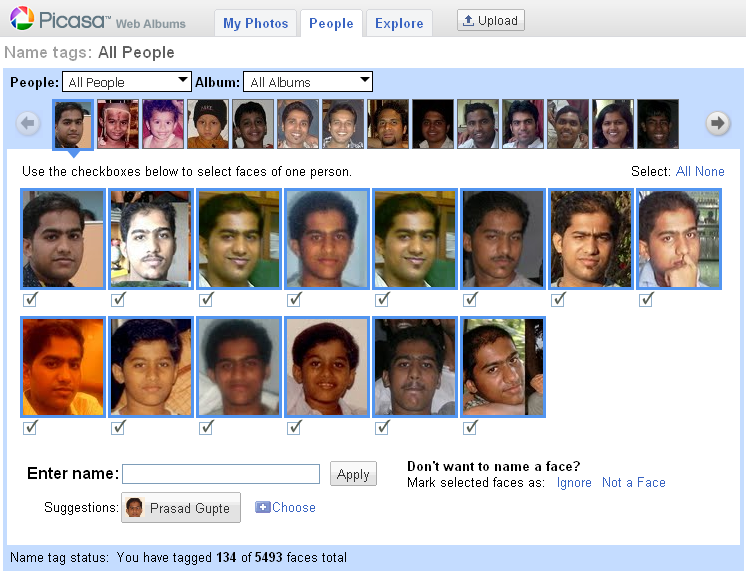 Unlike Orkut, where you have to mark faces yourself, Picasa automatically extracts faces. It took less than 5 minutes to extract some 5500 faces from about 3800 pictures. Another differentiator in the approach is that instead of mapping many faces on a photo (like Facebook, Flickr, etc), faces from many photos are brought together to be mapped to a person. This is what really saves time & effort and retains interest. Statistically speaking, atleast 60% of all my photos (about 1800 Nos) feature one from my family of four. So in the ideal case, I will finish mapping 1800 photos in 4 clicks instead of 3600 clicks (assuming 2 faces per photo). That makes Google what it is: not just an applications company, but a technology company. I don’t know if people tagged by me will be suggested a priori to others in their photos. 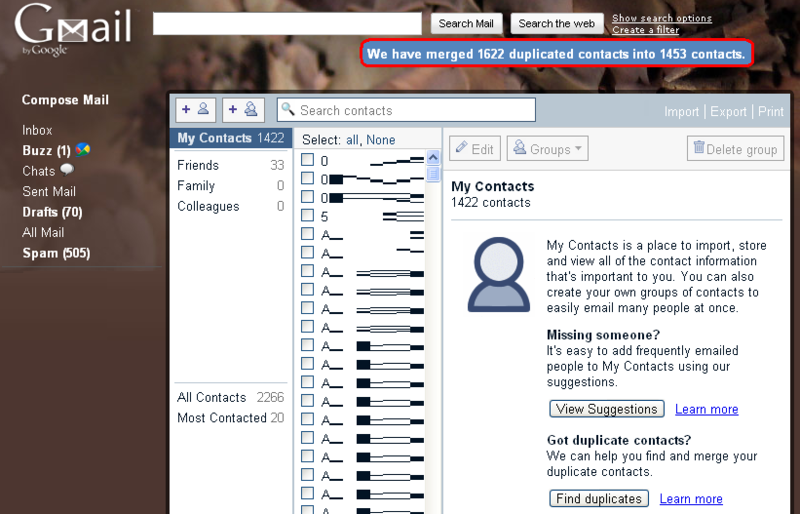 The tool started off with my photos, possible because the count was the highest. I showed me about 12 full sets (x16) of my pictures. A couple of photos in the first set were quite old – about 12 years back. Soon, it started suggesting my name for all my photos.